Eldon, I'm unfamiliar with a Faith 1. Let me take your points one at a time and give my take. 2Corinthians 5:21 "God made him (Jesus) to be SIN"
Again, you must look at this verse in light of the surrounding text. We are new creatures because of what Jesus did on the cross by becoming sin, the holy one who knew no sin, to make the perfect payment required . Romans 6:6 "our old man is crucified with, that the body of sin might be destroyed"
As I said before, not only did our sin cause him to be crucified, but we were also crucified with him. That portion of ourselves that tends to rebel died on the cross with him. But because our new nature is housed in the same shell that contained the old nature, sin will occur for as long as we draw breath. But we are no longer controlled by sin. We now have the ability, as per the new nature, to live as God requires. When we sin, we are doing something against our nature. And for me this serves as an indicator of that transformation, because now, when I do sin, it doesn't satisfy. Now sin leaves me unsatisfied, broken, and empty. This is proof that a change has happened. My sin nature has been destroyed, the body of sin. This is just another way of saying that the charges against us have been dropped based on what Christ did on the cross. Ephesians 2:16 "enmity to the law was slain on the cross"
Enmity is antagonism, bitter feelings. So when we receive that new nature I spoke of, the Law ceases to be something the standards of which we will never meet, thereby showing us our miserable condition resulting in resentment toward the law for telling us the truth about ourselves. The Law no longer condemns but encourages. I understand and agree with your assessments for the most part, but not with the idea that "the charges have been dropped" in any absolute sense. My point though is that none of those actualities of faith that are described in those verses were apparent to anyone who viewed the crucifixion scene. The few who loved Jesus there were grieving because to all appearances and all their understanding, a holy righteous man was being killed cruelly and unjustly. None of them said, "Oh look, our old man, the body of sin, is being crucified! ", "Hey, the writ of our transgressions is nailed to the cross! ", "Wow, enmity to the Law is being put to death!" "Woah, God made Jesus to BE sin for us..."
Those verities were unseen at the time and only revealed afterwards. Though Christians will never deny that Jesus was crucified, they should acknowledge that the Quran's assessment of the scene, "they killed him not" is accurate in the face of the most important unseen features, revealed later in the NT, of what was accomplished at Calvary. Another point hit me as I was reading this .Why would god keep on preaching the law and go thru so much death and destruction for thousands of years ,when he was going do away with all of it in one swift blow .What he was playing a game and when things got bad he just decided to start over from a clean slate .Ok that might be a bit scarcastic but seems like thats what happened . And what kind of god is he ,was putting his creation in so much trouble and trials and very strict laws and guidelines and then the few generations which were (and are to follow )jesus birth all they have have to do is believe in the cross and they can basically coast thru life .Now that doesnt seem very fair to me . But somehow that seems like something way too easy. Desert, just because salvation is made available to all of humanity doesn't mean that everyone will accept the offer. Ed McMahon shows up in my mailbox all the time telling me I may have already won the publisher's clearing house sweepstakes. But then, I never reply, so I'll never have the prize patrol ringing my doorbell. If we choose not to accept an offer, we have no right to expect the offer to affect us. Why not after all god made an ultimate sacrifice of himself to himself for our sake his created creatures .I think he would include all humanity .Its like I send out aid to a poor village and only give it to a selected few .Ok for the sake of argument lets say I accept the cross and all that goes with it and become a true chirstian then surely my previous post applies to me .Now I truly believe jesus took the fall for me so now I am truly a free man .NOW I am above the law have immunity from sin.Isn't this correct then ? And you forgot to answer as how the cross can save me ? Forgiveness of sins is possible through Christ. But this doesn't mean one can choose to live an immoral way of life. God as you'll agree knows the hearts of all men. If your approach to life with the knowledge of sin is to lead an immoral life with the mistaken idea that there is no consequence, then the gravity of your sin is multiplied upon yourself. Hell is always an option. Forgiveness of sin is only attained when the one is genuinely sorrowfull for their actions rather than merely fearful of the consequences of them. "Forgiveness of sins is possible through Christ" how ?Just by beileving in it and then living a moral life ? How does that make me forgiven ? and like i asked earlier how is his dying 2000 yrs ago interlinked with my life and sins now ???? And ( yes once again another one pops into mind as I write this ,are'nt we the curious one today)why do chirstians ask for repentance and forgiveness of sins ,Isnt that tab already been paid by somebody else ? The cross saves no one. You make false assumptions if you think Christians view the cross as some sort of talisman. I do have a cross necklace, but the reason I wear it is as a reminder of the price that was paid for my sin. The cross stands as a collective condemnation of mankind and our sin. It is not standing there smiling at us. It is not our friend. It shows us just how serious a matter sin is, that Jesus would go so far as to die so he wouldn't have to live without us in eternity. To view salvation as a license to sin is to completely misunderstand the purpose of the incarnation, and any Christian who views salvation in this way shares your misunderstanding. Also, it is quite possible to believe in the death and resurrection of Christ and go to hell. I can believe that exercise will have long term health benefits, but until I use that Stairmaster in the basement, I will not enjoy these benefits. And ( yes once again another one pops into mind as I write this ,aren't we the curious one today)why do Christians ask for repentance and forgiveness of sins ,isn't that tab already been paid by somebody else ? Desert, I could reply with the question "How does Mohamed talking to an angel 1400 years ago effect my life in 2008?" Another aspect of this newness I keep mentioning is the fact that when we become believers, God gifts us with the presence of his holy spirit. That makes faith a present reality rather than merely an historical curiosity. That presence heightens our sensitivity to our sin, making it easier to notice when we are getting into a situation we can't handle with our own resources. It also helps us to grow to be more like Christ. Therefor the net results of Jesus' death and resurrection are inextricably linked to my life 2000 years later for it ends up affecting everything I do. We repent and ask for forgiveness because if we don't, we will not grow. At the moment of salvation there is forgiveness that will encompass past sins, but future sins should be dealt with as they occur. If there is no sorrow for sin, especially now that we are members of God's family, then did we really mean it when we asked to be saved? And true sorrow for sin always leads to confession and repentance. And real repentance is both passive and aggressive. Aggressive in that we stop doing whatever it is we have been doing, but passive in that we allow God to help us to do this. And God helps us by giving us something to take the place of whatever we needed to repent about. If you try to stop, you have just created a vacuum. If you don't fill that vacuum with something of God's, then it will eventually fill itself with whatever will fit the shape of the vacuum, and that will end up being the sin you repented of in the first place. I've talked enough, I think. Ok most of what you made sense and most of my post you didnt understand .I understand ( and already knew from before )what you are saying . "Therefor the net results of Jesus' death and resurrection are inextricably linked to my life 2000 years later for it ends up affecting everything I do" Please expound on this maybe I'm just thick .I still dont see the link . And the part u misunderstood about my post is when I say Cross I mean the whole ten yards ,being a complete chirstian ,I think it was paul who said without the cross and the resurrection out faith is in vain ,hence the refrence to the cross. What I am STILL saying is why do I have believe that jesus was crucified and how does that belief prevent me from damnation or makes me a better person or offers me salvation ?. 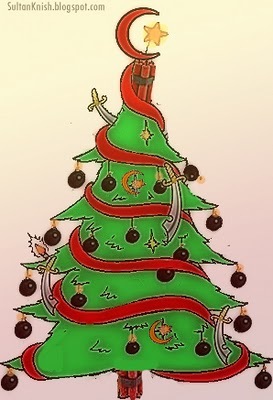 ( another one popped in my mind ) why do chirstians beileve we muslims are gonna get it in the end( no sugar coating pls ). I mean we beielve in jesus we respect him and his mother .We follow all of his teachings ,we pray like he prayed in some manner ,techinally speaking we muslims are more chirstian than chirstians them self .Then how come we gonna get the short end of the stick in the end ? Desert, what Paul said was that if Christ is not raised, did not return to life after his death on the cross, THEN our faith is vain because the fact of the resurrection is the fulcrum upon which our faith is hinged. It stands or falls on the point of the resurrection. If it in fact happened, then it's all true, salvation is available for those who believe, we are at peace with God. When I say events 2000 years past are linked to my day to day life, I mean that everything I do is viewed through who I am in Christ. The fact that I am forgiven, that I am a new creature because of Jesus' death and resurrection should profoundly affect how I live my life. It should affect how I act as a wife and a parent. I should be willing to forgive my husband of his many (he just popped in to see what I'm writing about) shortcomings because I have been forgiven my own shortcomings. It should affect how I do my job, before I married it affected my dating choices. My understanding of the resurrection impacts how I spend my money and how and why I give money charitably. I react in all these arenas based on what was done for and to me in the resurrection of Christ. Because I have been forgiven of so much, then my primary attitude in life should be one of gratitude, and that attitude should work its way into every aspect of life. Wow, some really great posts, squeegie. Thank you for your contribution. Ok squeege ,Again I understand what your saying ,but basically your just repeating what you said in your previous post . "It stands or falls on the point of the resurrection. If it in fact happened, then it's all true, salvation is available for those who believe"
What I wanna know is why ,let say for the say of argument the resurrection didnt happen .Does everything jesus did ,preach all the guidances he gave ,all the miracles he performed stand for nothing ?Are you saying his life was in vain and that only the resurrection puts a stamp of approval on his life ? Seems a little harsh that if jesus didnt rise from the dead then all he did was a Lie .That is kinda crude if you ask me .Putting so much importance on the resurrection. Lemme give this another shot and try to rephrase my question.What I am trying to say is why do i HAVE to believe in the crucifiction ,as jesus did sacrifice himself for all humanity Past,present and future ok you say it does not offer me blanket immunity ( which I think is kinda hypocritical BTW )What about all the people who we went before chirst .What about them .They had no idea about what was going to happen ,Humanity in general wasnt aware of a future jesus ,What happens them ? 5:14 From those, too, who call themselves Christians, We did take a covenant, but they forgot a good part of the message that was sent them: so we estranged them, with enmity and hatred between the one and the other, to the day of judgment. And soon will Allah show them what it is they have done. That has such an undeniable ring of Truth to it, that I could make no argument against it. As for the cross, Jesus said No man can be my disciple unless he takes up his cross and follows me. That takes emphasis off of Jesus' cross onto each individual believer's cross! So what was Jesus talking about? Apparently each believer has his own life to lead in obedience to the Will of God, which will cause him discomfort, suffering and even death. And though we certainly seek blessings along the way so that we can "bear the cross", we have to have the same submission that Jesus showed: "not my will, but THY Will be done". Now, the symbol of the cross is not present in Islam, but the actuality of submission to the Will of Allah IS there. Jesus set a good example of submission to Allah's Will, as did all the Prophets, but we have to have that same submission as well, it's not enough to just "ride on the Prophets' coat tails". We thank Allah for the example of Jesus and all the Prophets and we thank Allah for the Grace to live according to the same Spirit they lived by. It is an amazingly wonderful thing that Allah can offer forgiveness and eternal Life to man after all we've done against His Will, so we ought to have enough insight among us to come to common terms concerning Him. Thank you for your replies, eldon. Although I disagree with many of of your suppositions, they are interesting have provided valuable insight. Are the views and reasoning you express essentially those of "typical muslims"? "Orthodox Islam"? I'm just trying to figure out if these are just your own ideas or those that are relatively common. What was slain on the cross was NOT the Pure Word of God made flesh, according to those New Testament verses I posted previously, right? I don't read it that way at all. one, are there any other traditions that you object to? That's quite a list; each a topic on it's own, for sure. I would say some scriptural, however. I understand what you're saying, though; many christians believe some of the practices you mention are unscriptural. ....and two, what did you think of the passages I provided on tradition, Christ giving authority to His apostles and His promises to protect the church? Those traditions mentioned were specific to the context of the verses, not a general endorsement of all traditions. No, definitely not all traditions; only those that came from the Apostles, the early church, from God. So there are acceptable traditions but only those that are documented in the Bible? "Oral messages" that become "epistles"? Epistles of Paul, in fact. I just thought that odd coming from a muslim, since Paul takes such a beating around here. I mean, tradition determined Paul's letters were authenticly inspired -- the "tradition" of a church, one that has authority. I think the practices -- the traditions -- of the early church provide context to scripture, help us determine authentic teaching. As for the cross, Jesus said No man can be my disciple unless he takes up his cross and follows me. That takes emphasis off of Jesus' cross onto each individual believer's cross! "Takes the emphasis off Jesus' cross." Wow. I'm not even going to ask what part of scripture you back that up with. It is pretty clear from the Apostles and other early followers in scripture (including Paul, and tradition) that it is all about Christ's sacrifice on the cross. The sacrifice that you say only appeared to happen, but is useful for you to make your point. He (Adam) was the only born (spiritual) Son of God in that Adam, who is also called the Son of God in the Bible, was not born, but was made. Again, thanks for your replies and patience.